Nearly everyone I told about my trip to Prince Edward Island (PEI) to visit the setting of Anne of Green Gables had the same reaction: “You went on my dream vacation? !” For those of us who grew up loving L.M. Montgomery’s books and the 1985 CBC miniseries starring Megan Follows, it was nearly impossible not to fall in love with the lush descriptions of the island — red cliffs, sand dunes, beaches, shimmering ponds, flowering trees — and mentally plan a trip there with your “bosom friends,” wandering through fields, sipping on raspberry cordial (or currant wine, if you prefer). While PEI has much more to offer beyond the Montgomery-related, the following locations make for an ideal road trip exploring Anne’s island, most of which is just as you imagined. A car is absolutely necessary regardless of where you stay on PEI, but even at the height of August tourist season, there was very little traffic, and driving through the countryside was a thoroughly pleasant part of the experience. As far as accommodations, the island everything from luxury hotels to charming Victorian bed & breakfasts and inns, to family-oriented motels and cottage rentals. But I cannot fathom feeling at home anywhere as much as this Airbnb rental: a one-room schoolhouse built in 1850 and converted into a cottage. The original chalkboard still hangs in the kitchen, and it’s not hard to picture Anne standing there, either as the quick-tempered student breaking slates over boys’ heads, or as a poised school teacher, inspiring students to appreciate the beauty of the island. Montgomery did such an effective job describing her impossibly picturesque island in her books that at times, it can be difficult to discern the difference between sites related to Montgomery’s own life, or Anne’s — and there is significant overlap between fact and fiction. 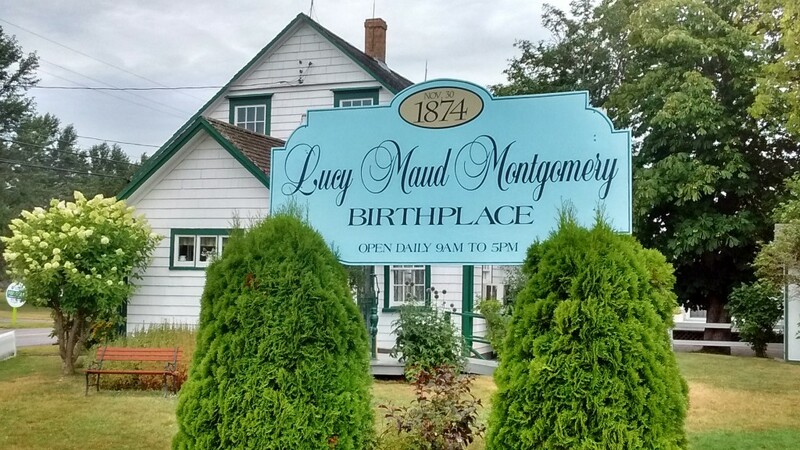 Montgomery was born on PEI in 1874, published Anne of Green Gables in 1908, moved to Ontario after she married in 1911 and wrote more than 20 books set on the island. Though she died in Toronto, she returned to PEI to be buried. When visiting PEI, it’s possible to visit locations related to Montgomery’s life, which frequently were used as inspirations for places described in her books. First, the bad news: the town of Avonlea does not exist. Montgomery based it off of Cavendish, where she lived with her maternal grandparents for most of her childhood. Cavendish still exists today, but don’t expect a quaint village with a general store full of brown sugar, rakes and dresses with puffed sleeves. It’s one main pedestrian-unfriendly road (Route 6) lined with gift shops, water and theme parks, miniature golf, and tourist accommodations. There is, however, a place on the main strip of Route 6 in “downtown” Cavendish called Avonlea Village, which is essentially an outdoor shopping area with gift shops and restaurants, but unless you are starving or desperately need a Green Gables suncatcher, skip it. Make a right on Route 6 out of Avonlea Village, and immediately on your right is the main attraction: the Prince Edward Island National Park, featuring the real Green Gables. The iconic house isn’t visible from the street — you have to enter through a driveway that comes out of the woods, get tickets at a visitor’s center, walk through a barn, and suddenly you’re transported back in time to the home of Marilla and Matthew Cuthbert. In real life, it was the home of brother and sister David and Margaret MacNeill, relatives and neighbors of Montgomery’s grandparents. She would visit frequently, losing herself to imaginary adventures in the surrounding Balsam Hollow (better known to Green Gables fans as the Haunted Wood). A part of the wood is also now called Lover’s Lane — another one of Anne’s names for parts of her new home in the books — and looks suspiciously like the Haunted Wood, but is a lovely stroll nonetheless. Montgomery’s grave site is accessible either directly on Route 6, or appropriately, at the end of the trail through the Haunted Wood. Park rangers offer free twenty-minute tours of the grounds providing background on Montgomery’s connection to the property, leaving participants in front of the Green Gables house, which is open for visitors and staged to look like the house described in the books. In reality, the MacNeills furnished their home far more modestly than the primly decorated Green Gables described in the books. 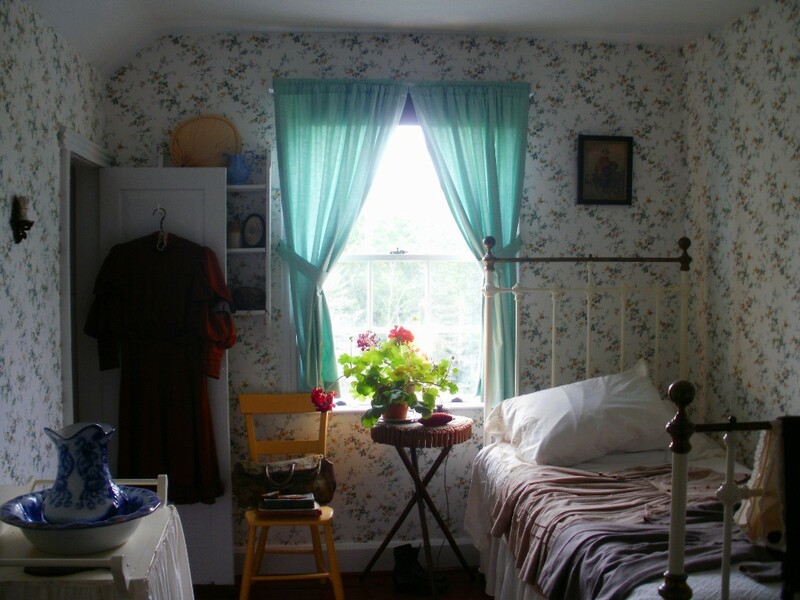 The highlight of the house is set up as Anne’s bedroom, complete with floral wallpaper, white metal bed frame and dress with puffed sleeves hanging on the closet door. 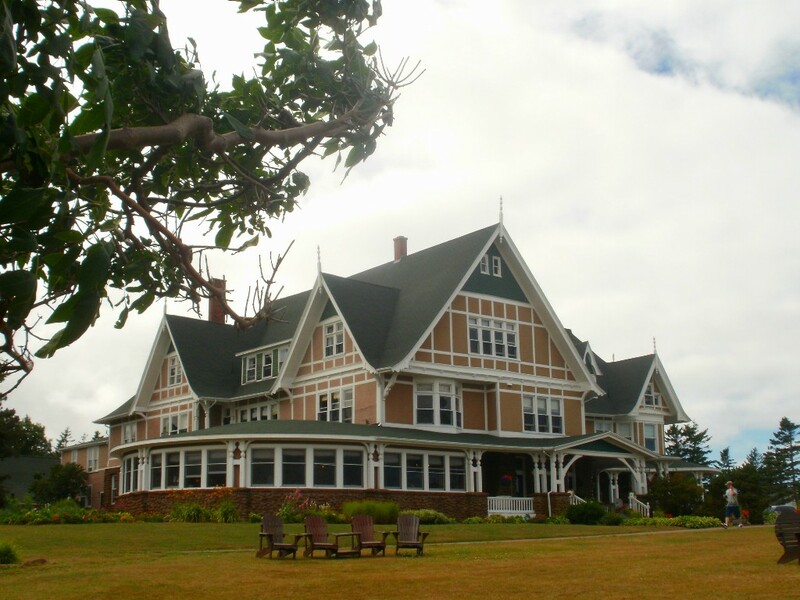 About a thirty-five-minute drive east of Green Gables is the Dalvay-on-the-Sea Hotel — better known to readers as the White Sands Hotel (where Anne gives her encore-worthy recitation and Gilbert Blythe gives her a swoon-worthy standing ovation). Famous guests have included Prince William and Kate Middleton on their honeymoon tour, but you don’t need to be royalty to walk the grounds or pop in for afternoon tea (or as we did, stand outside the kitchen windows near the exhaust fans and inhale delicious cooking aromas). Thirty minutes south is the capital city of Charlottetown, where Anne attended the fictional Queen’s Academy teachers’ college. The main draw here is Anne of Green Gables: The Musical — Canada’s longest-running musical production, which first opened in 1964. This year, for the first time ever, two Islanders play the parts of Anne and Gilbert. Jessica Galant makes a delightful, engaging Anne; unfortunately for Aaron Hastelow, despite being cheeky and charming, will never hold a candle to Jonathan Crombie’s (may he rest in peace) portrayal of Gilbert in the CBC miniseries. 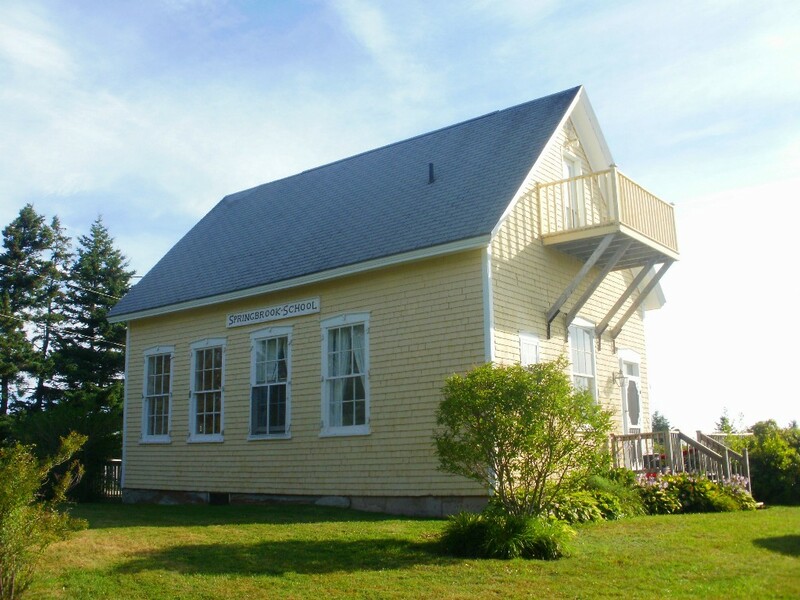 On the north shore, about twenty minutes west of Green Gables is New London, L.M. Montgomery’s birthplace. While she only spent her first two years in the house, it provides an intimate look into her life, including the room where she was born, and a replica of her wedding dress. From there, you take Route 20 north about ten minutes to the Anne of Green Gables Museum at Silver Bush. This is the former home of Montgomery’s aunt and uncle, with whom she briefly lived and wrote. She described the home as “the wonder castle of my childhood,” and it also served as the location of her 1911 wedding to Ewan Macdonald, a Presbyterian minister. In addition to her former bedroom and “crazy quilt” that she stitched by hand from fabrics of many patterns and colors, visitors will find the china cabinet that served as inspiration for Anne’s enhanced bookcase in the first book. Outside of the house, you can take a horse-drawn carriage ride with “Matthew,” passing by the (disputed) inspiration for the Lake of Shining Waters along the red-dirt paths and rolling hills. 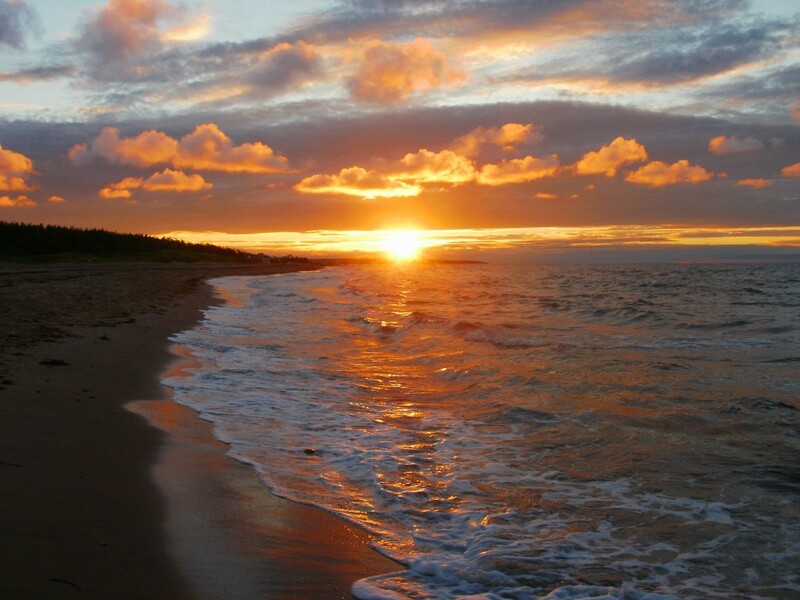 The other contender for the Lake of Shining Waters is located near Cavendish Beach and is also impressively shiny. 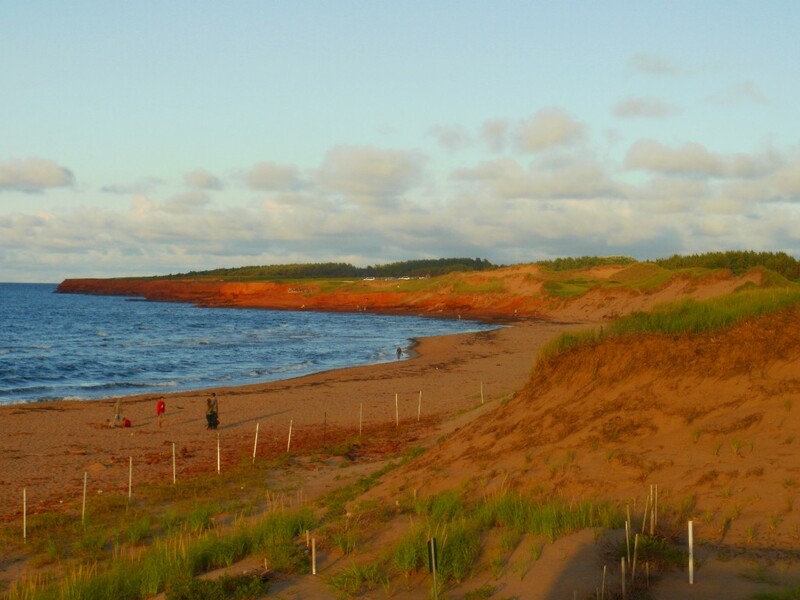 It is within the Prince Edward Island National Park and is home to the famous red cliffs and sand dunes described in the books and featured in the 1985 miniseries, and is an ideal place to go for sunset, taking it all in walking alongside your bosom friends — just like Anne and Diana, but in more comfortable clothes. Dr. Elizabeth Yuko is a bioethicist, writer and kindred spirit.